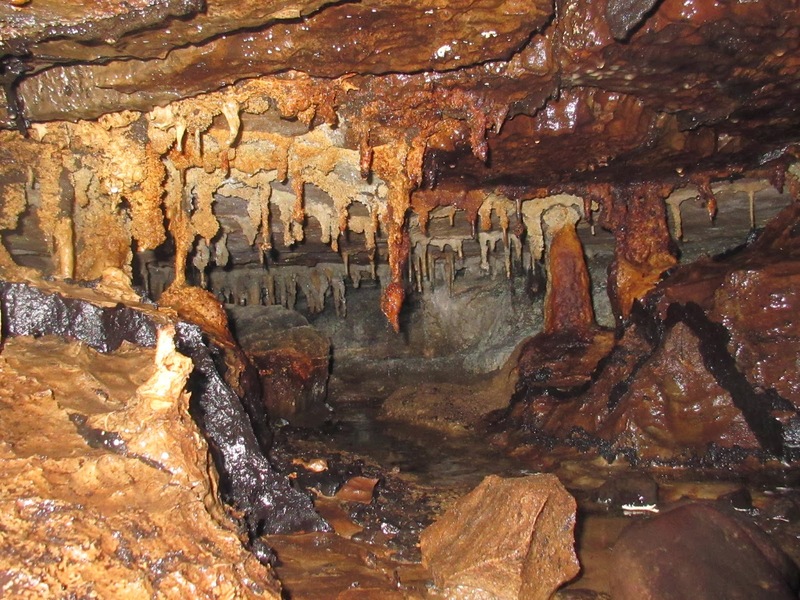 The beautiful decorations or ‘speleothems’ adorning cave passages have an enticing presence. Not only is it the thrill of the challenge which motivates a caver in their adventure underground; the beauty of what lies beneath – visible to a relative few – leaves an unforgettable impression. Many of the finest decorations in the Ingleborough caves were ruthlessly plundered by the earliest explorers and tourists – once they overcame the superstition that caves were an ‘entry to hell.’ Thankfully, the finest are now well out of reach of ordinary mortals – though it is still possible for the absolute novice to enjoy the beauty on a more modest scale. 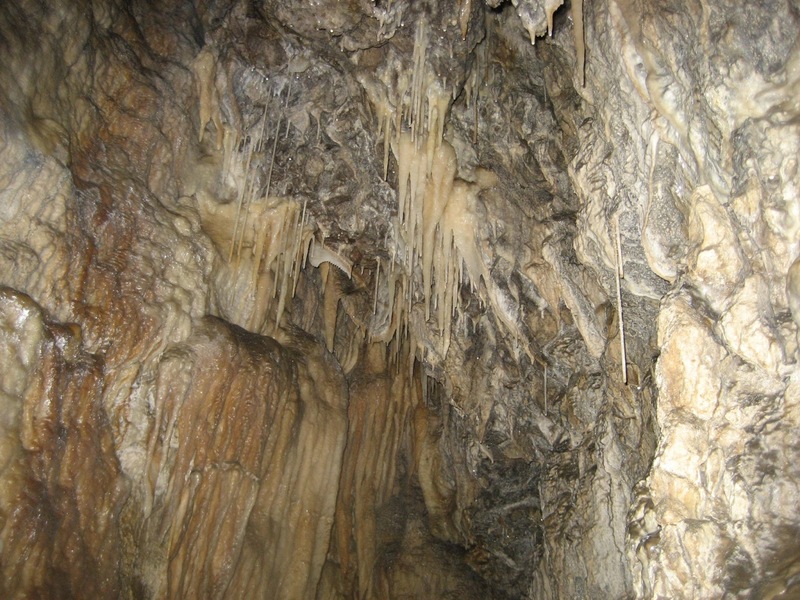 Stalactites and stalagmites are often confused. An easy reminder is ‘c’ for ceiling in the stalactite – and ‘g’ for ground in the stalagmite. 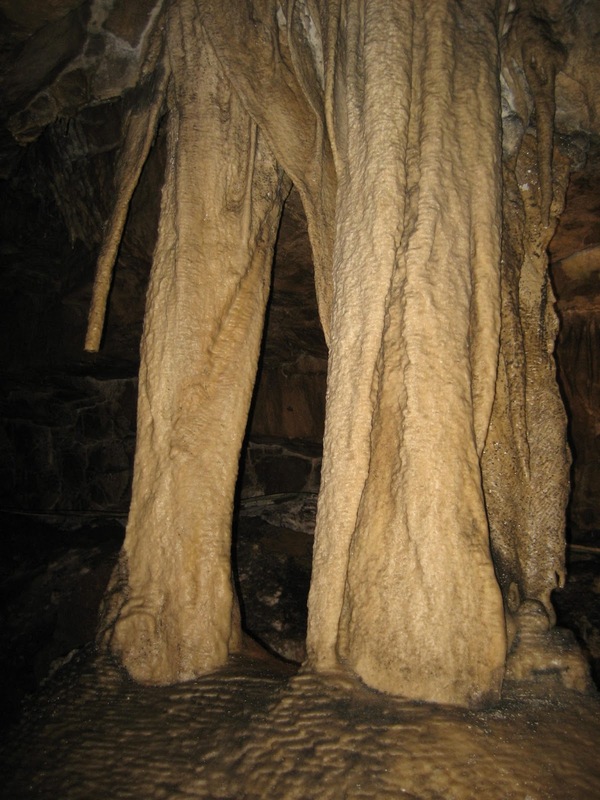 Stalactites are typical of large vadose or fossil passages rather than in active, flood-prone stream-ways. There are superb examples in the Gaping Gill system; especially in Old East Passage on the way to Mud Hall – while the public can easily inspect some of the country’s most famous ‘stals’ in the Battlefield Cavern within White Scar Cave– as well as in Ingleborough Cave itself, above Clapham. Rain falling over Ingleborough absorbs carbon dioxide from the atmosphere, and grabs even more CO2 from the ‘soil air’ – as it seeps through to the limestone beneath. Making its way along the cracks and joints in the rock, the water very slowly dissolves the calcite (the main building block of limestone), therefore carrying calcium carbonate in solution. In simple terms, it can be described as being ‘saturated with lime.’ As the water drips through into a cave passage or chamber, it contains much more carbon dioxide than the ‘cave air’ – and so, in order to balance out the two, some of the carbon-dioxide in the water diffuses out into the cave. At the same time, a tiny film of calcium carbonate is precipitated on the ceiling in the form of the mineral calcite. 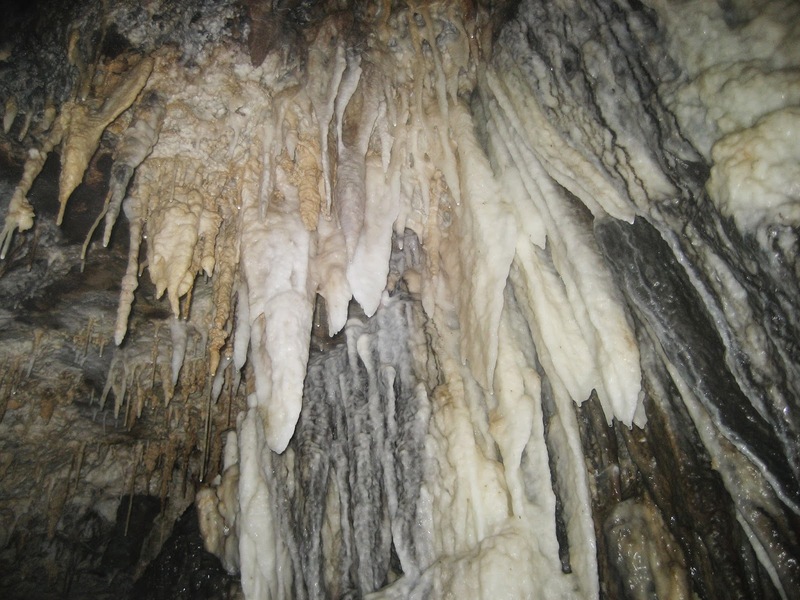 If conditions are more or less stationary and drops are slow to form, a long ‘straw’ stalactite will grow in the form of a hollow tube, and these present a startling, but very delicate sight in many caves. Other ‘stals’ are much bulkier – appearing to mimic everything from swords and tongues to daggers and carrots, limited only by the observer’s imagination! 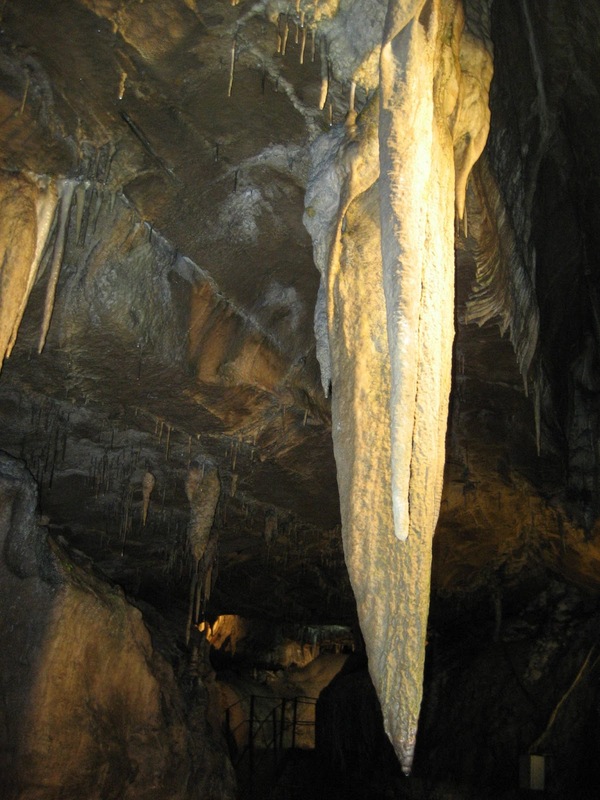 They are sometimes referred to as ‘shark’s tooth’ stalactites. They develop when the original straw is blocked by debris and so calcite is deposited on the outer edge – eventually forming a tapering pinnacle. 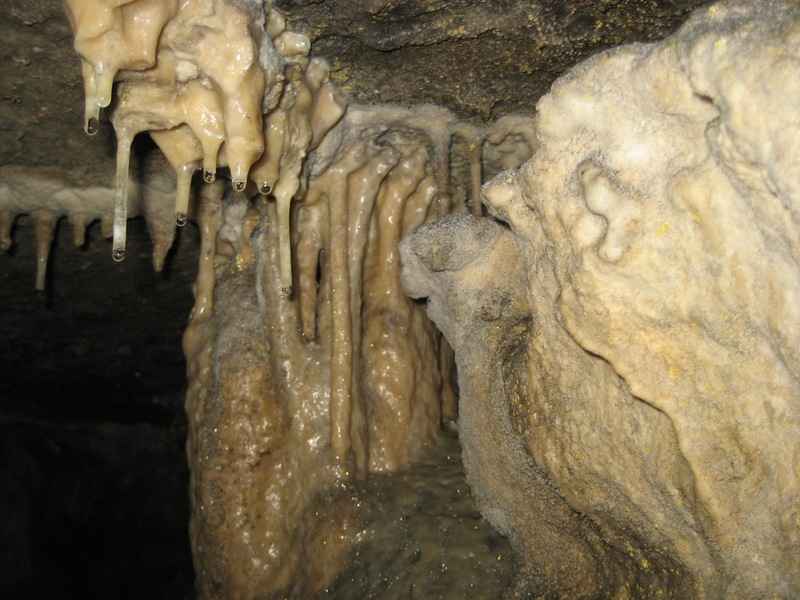 The growth rate of stalactites is extremely slow, with an average of about 0.13mm per year (0.0051 inches) while constant flows of dripping water may increase the rate to 3mm (0.12 inches). With this in mind, the great age of some of the larger examples such as The Sword of Damocles in Ingleborough Cave can be appreciated, and this can be further used to help date the age of the passage itself. Some of the stalactites in the fossil passages of Gaping Gill date back at least 350,000 years while the Long Churn Caves contain examples 120,000 years old. 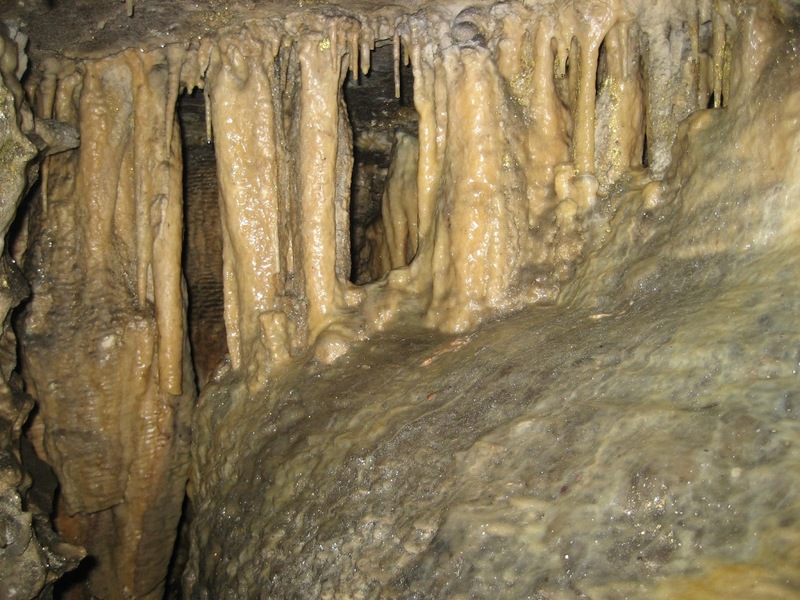 To form stalactites, drip rate must be slow enough to allow the carbon dioxide to diffuse into the cave air – otherwise the water will fall to the floor and the process will take place there, allowing a stalagmite to form. 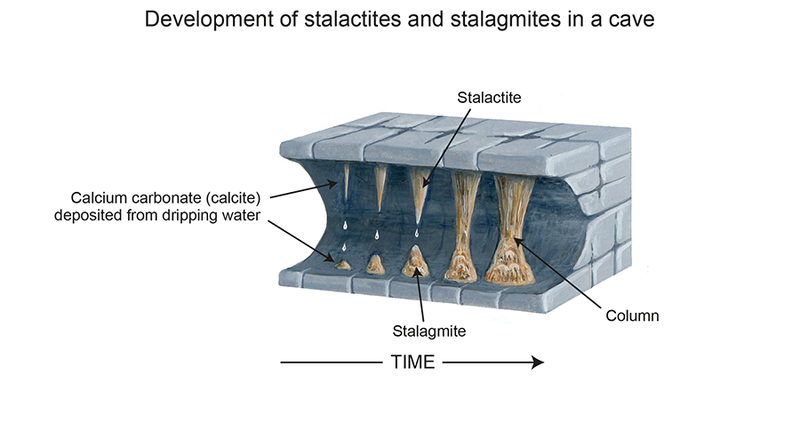 A relatively fast drip may deposit stalagmite before slowing to allow a stalactite to form above it – and fluctuating drip speeds will cause the two to eventually meet as a column or pillar. Many fine examples of mini columns can be seen along the shelves inside Great Douk Cave, and in the Long Churn Caves system. 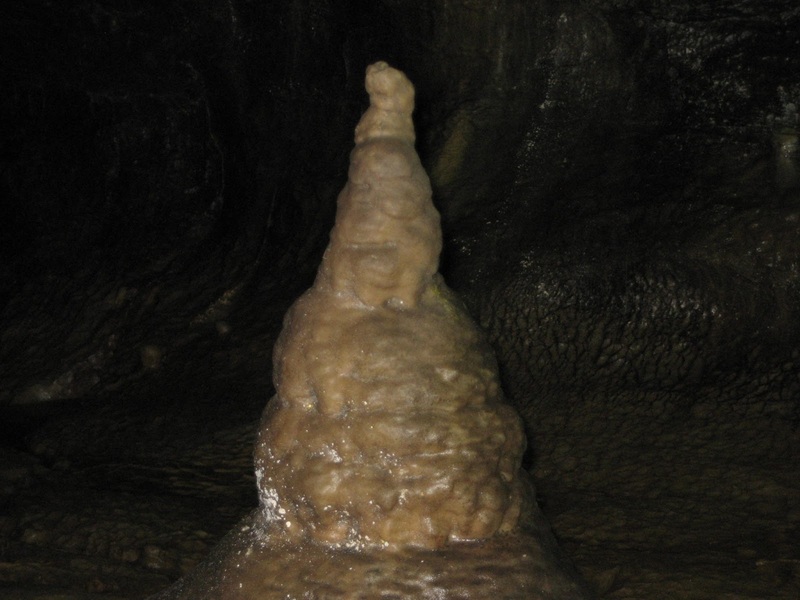 Stalagmites often take the form of skittles or clubs, and there are many famous examples in Ingleborough Cave such as the Buddha and the Coffee Pot.